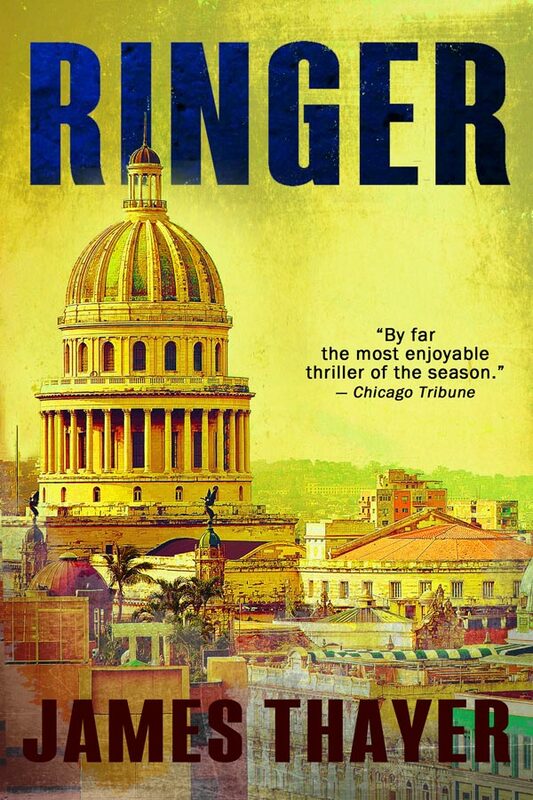 "If Frederick Forsyth and Tom Clancy had written Our Man in Havana, they couldn't have done a better job than James Stewart Thayer has done with Ringer." Relations between Russia and the United States have broken down, and the Russians decide to risk a replay of the Cuban Missile Crisis. They secretly base the deadly Blackjack bomber in Cuba. In the bomb bays of these planes are cruise missiles that could level a third of American cities. This time the Russians can’t and won’t back down. They will not remove the Blackjacks. America discovers the bombers in Cuba. CIA officer William Maurice saw his career destroyed by the Bay of Pigs.But he still has assets in place, including one man he must smuggle into Cuba, a Cuban American in Miami who has a startling resemblance to Fidel Castro. Can a switch be made, the Cuban American for the Cuban dictator? Maurice works to install the ringer in Havana’s Captiolio Nacional Cuba. "By far the most enjoyable thriller of the season. Ringer has all the dash of Ian Fleming at his best though Thayer’s characters come straight out of Elmore Leonard. . . . [will] dash you along as fast as you can turn the pages and then send you off contented." "A superior thriller . . . . [Thayer is] an expert raconteur."